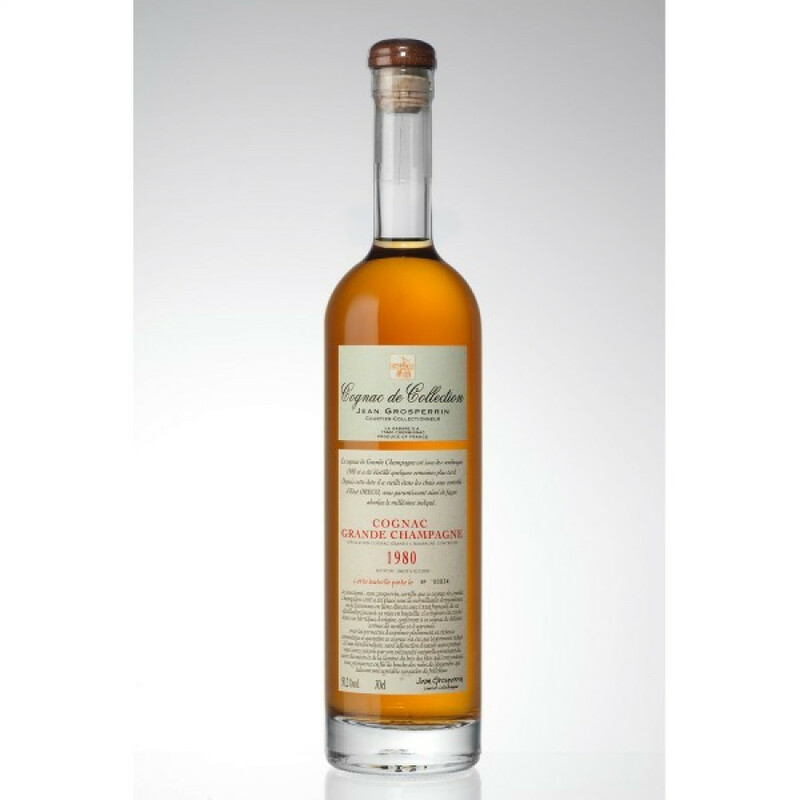 The Grosperrin Millesime 1980 Grande Champagne Cognac offers all that it's grandiose title suggests. From the vintage harvest of 1980, this is a Cognac that proves exactly why the Grande Champagne terroir of the region is referred to as the 'premier cru'. A strong, powerful Cognac at 49,3 °, it's a wonderful choice to pair with fresh coffee or perhaps a favorite cigar. But make no mistake, it might have a kick, but the flavors and aromas are perfectly balanced to provide the taster with a wonderful sensory journey. Presented in a traditional style Cognac bottle with informative label, this is a great value for money choice for a Cognac of this quality. A super addition to any drinks cabinet, or would make a wonderful gift for the Cognac connoisseur. Tasting review from Prunier: Colour: brown gold, light, very bright and clear. Nose : delicate, then powerful, dominated by nutmeg. Mouth : blurred start, fine pastry with notes of vanilla and english toffee. Well balanced in length, very neat cognac.